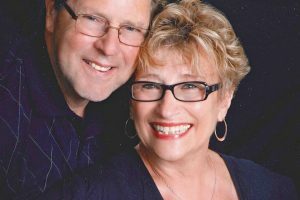 Red River Valley Palliative Care provided care for a lung cancer patient in his 50s who had a poor prognosis, but he continued to receive chemotherapy. When he began palliative care visits, he wanted to do everything possible to stay alive as long as possible, including hospitalizations. The palliative care nurse made visits every few weeks and discussed his goals for end-of-life and reviewed changes in his health. The patient continued to decline and his symptom burden increased. After visiting with his oncologist, the patient decided to transfer to hospice care. 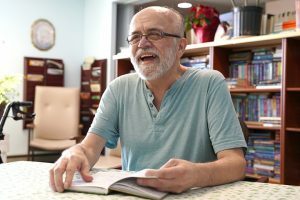 If the patient had not received education and support through our palliative care program, he likely would have continued his treatment and ended up in the hospital when his health declined. Instead, he was able to die comfortably at home with his family around him. An 89-year-old patient with a diagnosis of heart failure was living at home with her son and daughter-in-law. When she began palliative care, she was taking 18 different medications. With careful medication review and direction from our medical director, we were able to reduce her pill burden by 22 percent, much to the surprise and satisfaction of the patient and family. While on palliative care, she became eligible for hospice care, which helped her avoid hospitalization when her heart failure worsened. We were able to help her fulfill her ultimate goal to remain in her home. A patient in his 50s was living home alone, struggling with symptoms of heart failure, diabetes and several other health conditions. He was hospitalized three to four times within a three-month period for fluid overload. He had several wounds on his legs and was not able to leave his apartment. His health was extremely poor, but he was not ready for hospice care. Our palliative care staff visited this patient, providing medication assistance and education regarding his diet. His condition did not improve, as he was non-compliant with his medications and diet. Our education continued with nursing visits on hospice, and after some time he was agreeable to hospice services and very much appropriate because of his symptoms. He was admitted to hospice, and his health improved because of diligent nurse and certified nursing assistant visits, and availability of medical care 24/7. His condition improved enough to be discharged from hospice, and now continues to live at home with the help of our palliative care nurse. He has been able to leave his apartment on occasion, and his quality of life has improved significantly. He has not been hospitalized since before his hospice admission, in-part because of the working relationship between his cardiologist and our palliative care nurse. If you would like to learn more about Red River Valley Palliative Care or to begin receiving palliative care, please contact us.